All the Byrons are just as "mad, bad, and dangerous to know" as their famous non-relation...but now the time has come for the eldest son to marry...Edward Byron, Duke of Clybourne, has everything a man in Society needs...except a wife. Duty requires he wed, so he decides that a long-standing arranged marriage will do nicely. He knows his bride is beautiful, biddable and bright enough to run his household and nursery. He expects his betrothed, Lady Claire Marsden, will be thrilled with his decision—unfortunately, she's not!Claire has longed for Edward since she was sixteen, but how can he expect her to agree to his proposal when he barely knows her and doesn't love her? Nothing will convince her to accept a loveless marriage. And so she begins a battle of outrageous resistance, forcing Edward to learn that he must lose his heart in order to win his bride. Claire, has been in love with Edward, the Duke of Clybourne, since she was sixteen years old, but then he broke her heart, and even though they have long been betrothed, she has no desire to marry him now. Claire refuses to enter into a loveless marriage, because she has seen what a one sided loveless marriage is like, and has no desire to go through that. Edward, knows that it is his duty to wed, and knows that with her pedigree and manner, she would be an acceptable wife, but little did he know that he would have to fight to win her hand and affections, and that he could awaken her deep passions and desires with his kiss. Despite her resistance of him, he is ever the more determined to claim her as his wife…no matter what it takes to win his bride…. 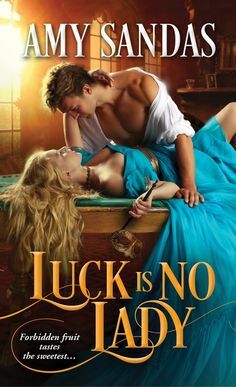 At The Dukes Pleasure is the third in this series by Tracy Anne Warren. I just recently started reading books from this author, and just adore them. At The Duke’s Pleasure was such a witty and fun love story, yet the story line still had a serious tone to it as well, but I just loved how the author woven the characters and the story all together, such brilliance in her writing, I was so entranced from the very beginning and I could hardly put this book down. The characters were so vivid throughout the story, both have vulnerabilities that I felt I could relate to. A WONDERFUL STORY!! !